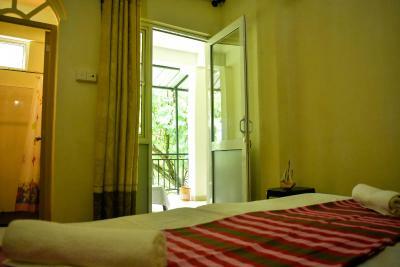 Lock in a great price for Kandy Dilruk Homestay - rated 9.2 by recent guests. Just perfect. All was just perfect, the family is very kind and nice. We arrived at 7am from the airport and they accomodated us and even gave us a breakfest, arranged tuk tuk, and on a leaving day they gave us a lunch.. Just amazing! 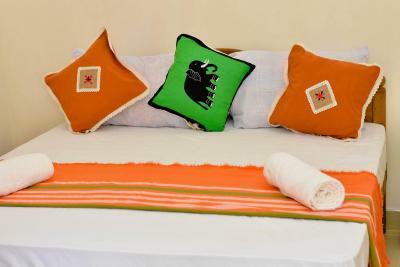 The owners were so sweet and helpful, they did everything to make us feel comfortable and enjoy our stay. The place and the room was perfectly clean and the breakfast was more than enough for the whole day. They even offered us some dinner, which they had left, but unfortunately we didn‘t want to eat any more. The location is close to the the tooth temple, you could even walk, it’s only about one kilometer. The only downside is that the way back is uphill. Above all, I absolutely would recommend this place to everyone. Great place with lovely hosts! 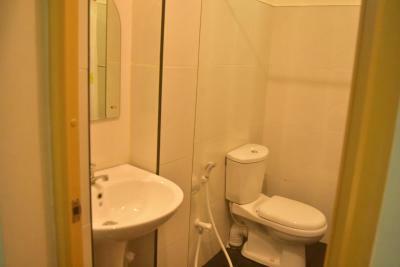 Room was very nice, bathroom with hot water. Terrace with view on a city was amazing. 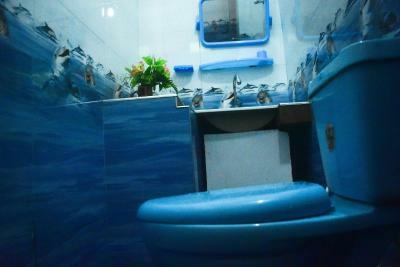 The rooms were perfectly clean. Really good wifi. The family was amazing and really welcoming helping us with everything. Fantastic experience. Very nice room with amazing view. The location was great - close to the center. Nice food and what the most important - extremaly helpful and nice host. He arranged a take away breakfast and a transfer to the railway at 3am! So we were able to catch the Kandy-Ella night train. I truly recommend. Amazing hosts . They help me to booked the train tickets to ella even 1 wk before. Amazing BF. Amazing View. Very nice and friendly host family. 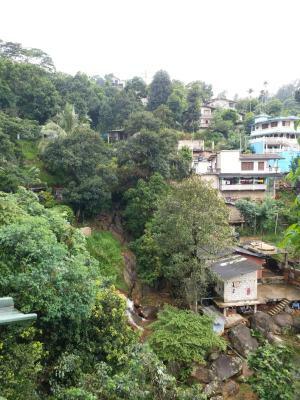 They provided us with a lot of information on what to do in Kandy and how to get around quickly. You can buy first row tickets for the traditional Kandy dances right at the property with discount! Kandy lake is just a 10 minute walk from the property. Nice and clean room. Amazing host. They booked to me Ella ticket train and help me in everything i need. I recomend to eat there. Delicious food!!! 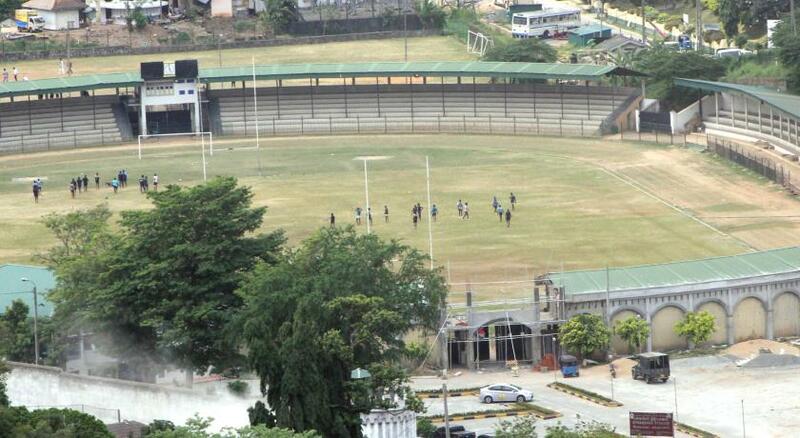 One of our bestsellers in Kandy! 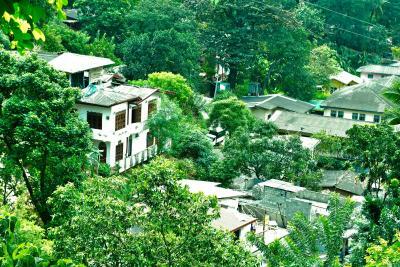 Situated in Kandy, near Bogambara Stadium, Kandy City Center Shopping Mall and Kandy View Point, Kandy Dilruk Homestay features free WiFi. 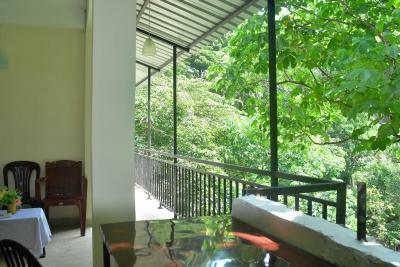 Kandy Museum is 2.1 miles from Kandy Dilruk Homestay, while Sri Dalada Maligawa is 2.1 miles from the property. 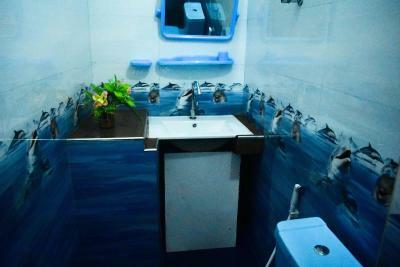 The nearest airport is Bandaranaike International Airport, 64 miles from the property. 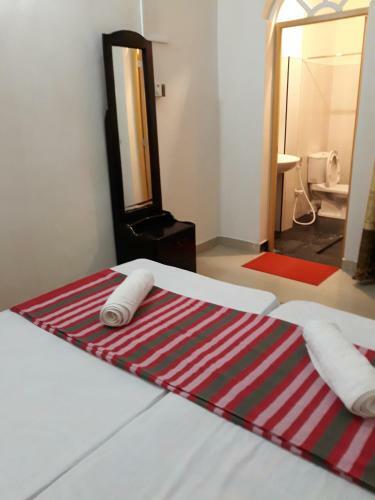 Kandy Dilruk Homestay has been welcoming Booking.com guests since 29 Jul 2018. 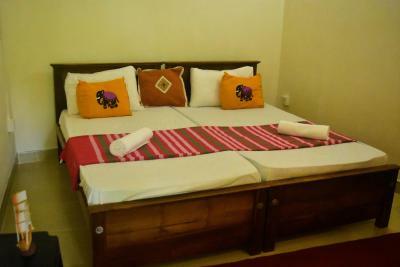 When would you like to stay at Kandy Dilruk Homestay? 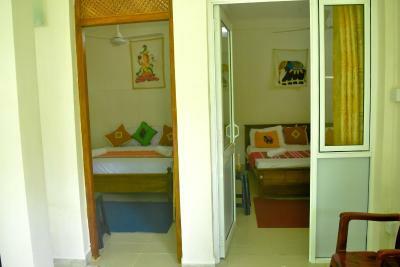 House rules Kandy Dilruk Homestay takes special requests - add in the next step! Nothing. Just to mention it: if you are handicapped or have problems with stairs, this might nit be the right place for you. 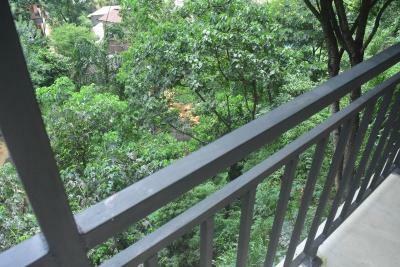 Beautiful wide view from the balcony! No street noise. Sounds of nature only. 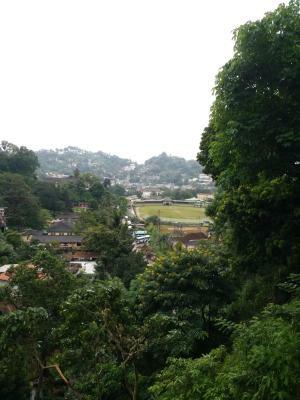 Quiet neighbourhood but good localization – only a short walk to the centre of Kandy. The family is very nice and helpful. They can arrange cheap tuk tuk driver for a day. 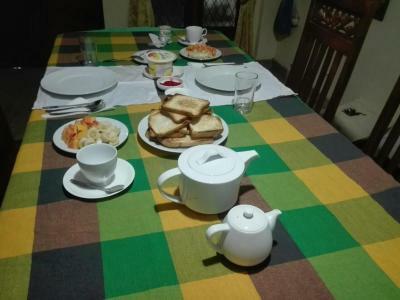 The breakfast was good, the room was nice and clean and there was hot water. The view from this place is amazing! 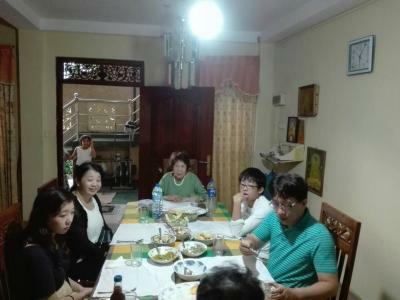 The hosts are very kind and the food was traditional and delicious. It was a great deal for the price. Please be careful with any tuk-tuk driver. They aren't related to the family and have their own business, so even if the family contacts one for your, be very direct with the driver about pricing and things you wanna do. The owners are absolutely adorable! They will do their best to help you enjoy your stay. 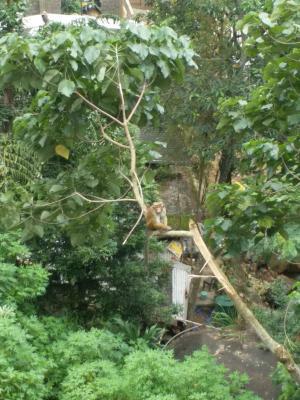 Rooms are clean with a beautiful view on nature. 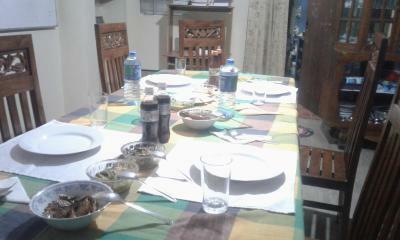 All meals cooked by the family are delicious. Definitely recommend! 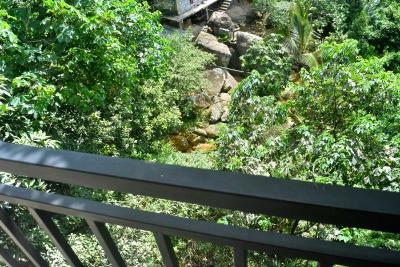 The room was clean and comfortable, view on a small river via balcony. We arrived earlier and left backpacks there while sightseeing the city. Our host gave us recommendations about attractions we can see. We ordered dinner and for approx 7$ we ate so delicious food that is hard to find in any restaurants. This is family business, they run this place like there home. Great people.